The once a year Lulu and Georgia Friends and Family Sale is going on so I had to let you know about some of my Lulu and Georgia favorites so you can take advantage of this 25 percent off sale. My favorite rug in our breakfast nook—the Elodie rug—is from Lulu & Georgia and they have a cool new pillow in the same fabric that is to die for. Lulu and Georgia also has the closest rug that I have been able to source that looks like my pink and navy living room rug. 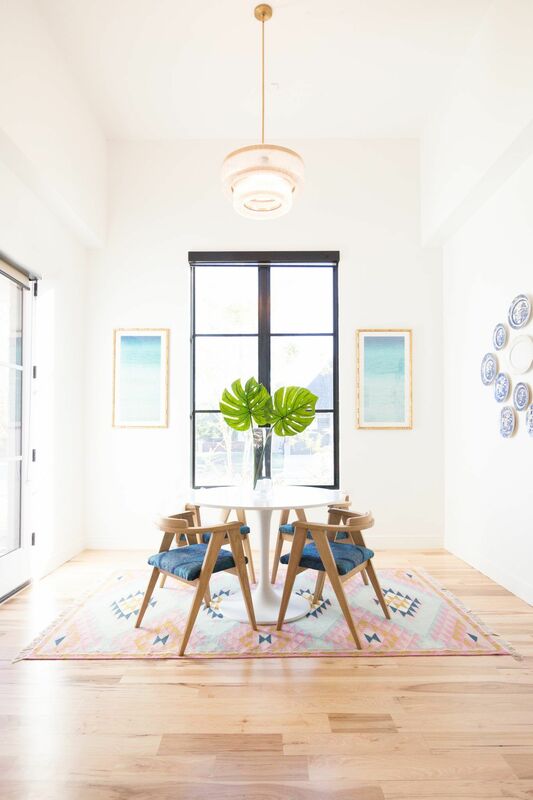 It is call the Lalita rug and it is gorgeous! Basically, Lulu & Georgia is one of my favorite home decor stores and they have everything from great rugs, to light fixtures, to couches, side tables, dining room table chairs, amazing mirrors, wallpaper, and more. If you haven’t ever checked them out, now is the time. 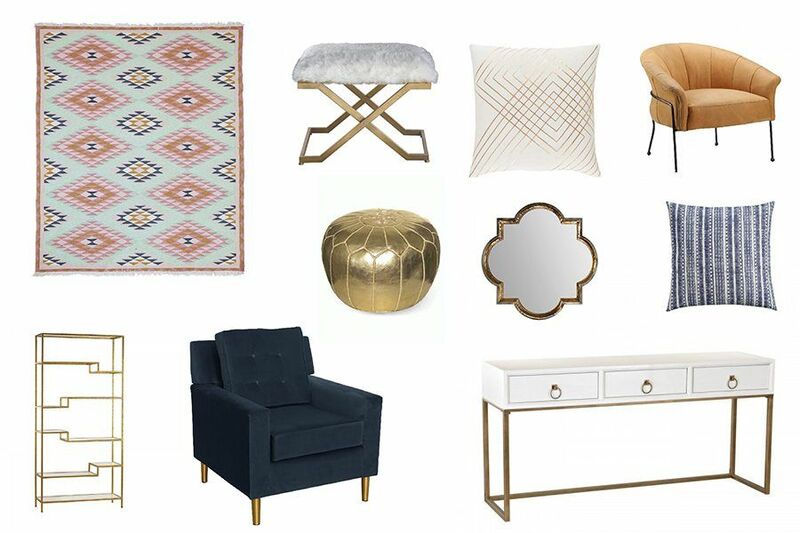 I’ve sourced some of my favorites from the sale (at the bottom of this post) and I could basically do an entire living room and bedroom and entryway and more with all these goodies so I hope you find something you like for your home. Happy shopping! Use code ‘BESTIES’ at checkout to take advantage of the Lulu and Georgia Friends and Family Sale. Here’s the Elodie rug in our One Room Challenge room. It is still my favorite and is such a great rug for any room and it also makes a great kitchen runner! 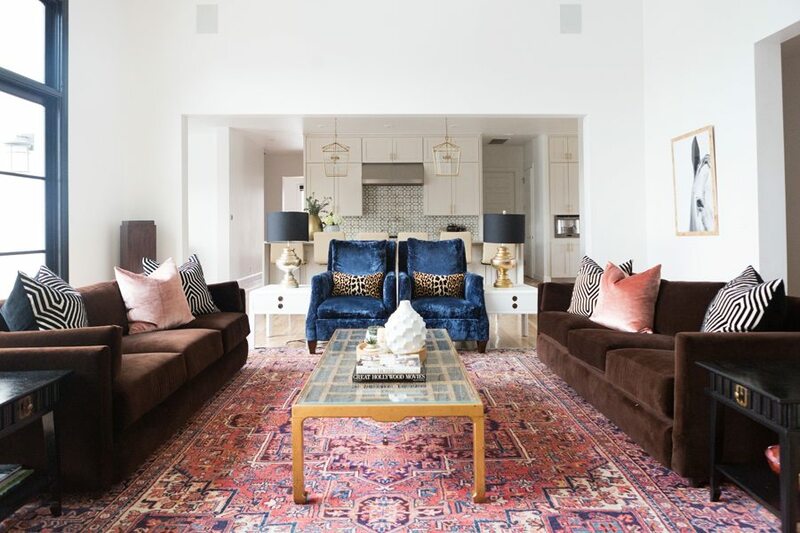 If you are looking for a bright rug and some navy velvet pillows like I have in my living room, Lulu and Georgia is the place to get them!